| Chullpas at Sillustani .. These very interesting pre-Inca funeral towers are called chullpas. Most of these towers were built by the Colla (Aymara) in the 15th Century, for the burial of their important people. The chullpas are round, made with large stones, and are larger at the top than the bottom. 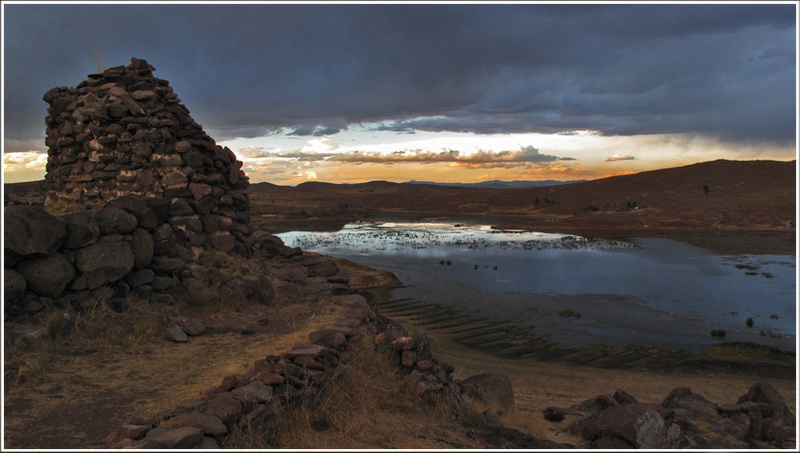 Sillustani is located beside Umayo Lake, 30 km (18.7 miles) of Puno.